There are only 7 DAYS left of Sale A Bration. 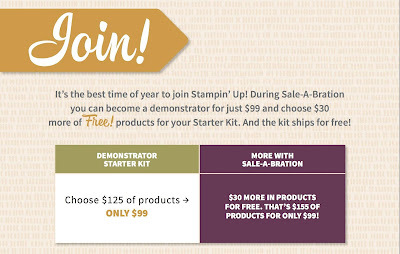 That means you only have 10 days to take advantage of the BEST deal Stampin' Up will offer all year on the Starter Kit. Remember, it's $99 (free shipping!) and you choose $155 of merchandise- anything you want from either catalog!